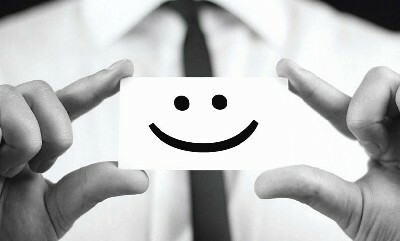 Home > News > Avant achieves one of the highest ratings in the country for employer satisfaction. Avant achieves one of the highest ratings in the country for employer satisfaction. Each year the government's Education & Skills Funding Agency conducts a survey of employers, which captures perceptions on the quality of the training provided and the responsiveness of their college or training organisation to the employer’s needs. The scores calculated for each college or training organisation enable comparisons about their performance to be made against other colleges and training organisations of the same organisation type and against all the colleges and training organisations which completed the survey and passed the necessary quality thresholds. The responses to the latest survey confirm yet again that Avant Partnership scored far in excess of the national average. 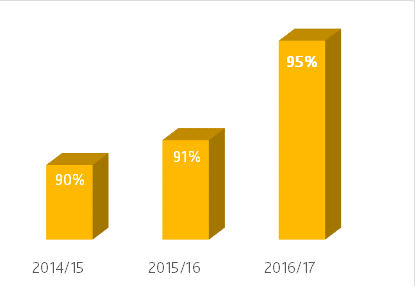 In fact, 95% of our employers responded that they would recommend us, which was 8% greater than other Independent Learning Providers nationally, and 10% higher than FE colleges. Steve Roe, Chief Executive of Avant Partnership commented that this is a fantastic achievement. He continued "We work extremely hard to meet the needs of employers and learners. Our dedicated Learner and Employer Engagement team develop outstanding relationships with employers and can act as a 'critical friend', advising employers of the benefits of employing young people, informing them of the incentives available, including NI Contributions for under 25s, and the £1k incentive for employers of 16-18 year old apprentices, together with supporting employers with advice and information. Delivery of high-quality training, meeting the needs of employers and learners is central to our ethos. Our Apprentices learn and develop the knowledge and skills required to become competent and valued employees, enabling them to progress in their career. All of our delivery staff are appropriately experienced and qualified and committed to ensuring employers and learners receive the best experience possible." 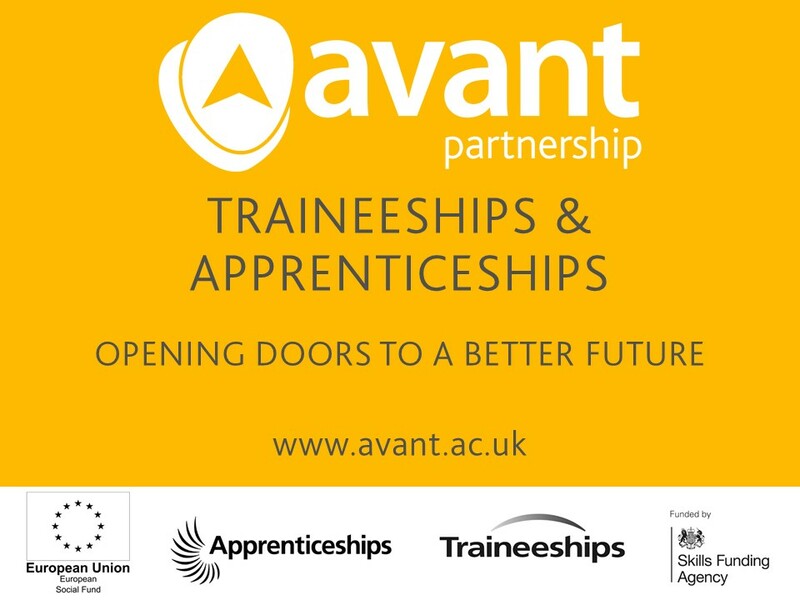 Avant aims to continually develop the experiences of employers and learners and hope that their response rate continues to increase and remain ahead of the competition.